I don't know why you chose to post this assembly of gedolim, which not much is left from them to the benefit of our generation. I haven't heard of a מינות that the Litvisher Gedolim were nitfas to. MOAG hardly addresses Zionism. You should really read the books you quote. 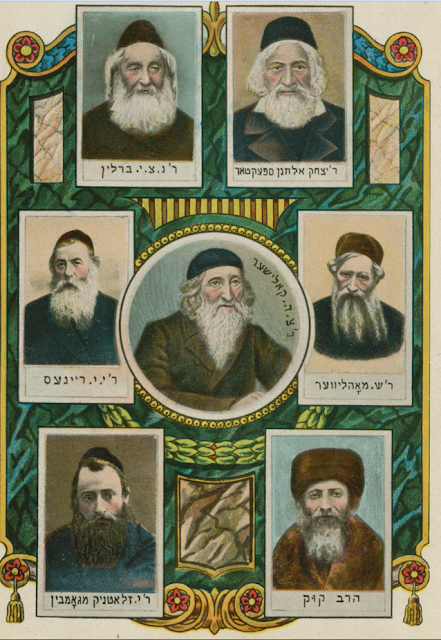 Interesting that Rabbi Yehuda Leib Zlotnick was considered as of the same caliber as the other rabbis pictured. He was not liked by the chassidim in Gombin, which is close to Gastinin, and so he came to Canada and later to South Africa.